Bai Dai, or Long Beach, is a breathtaking white sandy stretch of coastline south of Nha Trang, and a gorgeous natural harbour. On this luxurious seven or nine day fly and stay package you can choose to relax on the beach, or enjoy five-star Swandor Hotels & Resorts Cam Ranh’s range of facilities and activities. Enjoy days by the pool, at the spa or the dive school; at night, check out either of the resort’s two restaurants, live entertainment, bars, discos and more. 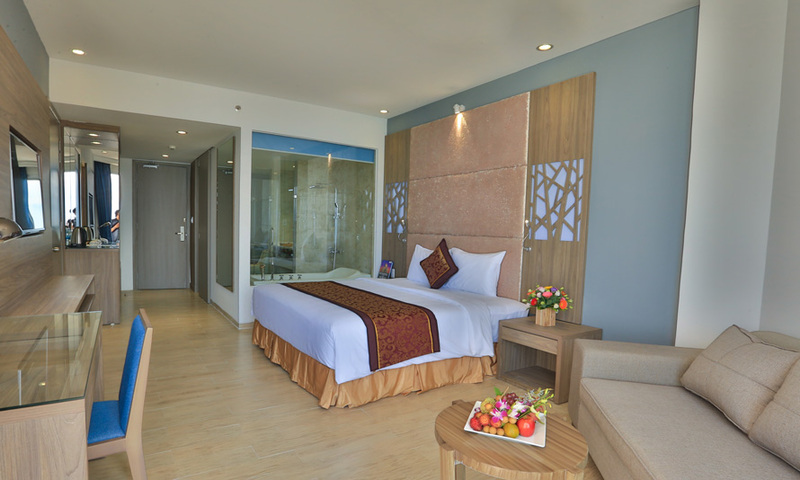 The Deluxe Sea View Room was designed with comfort in mind, and offers you an incredible sea view from your balcony. The magnificent Swandor Cam Ranh sits like a jewel on Bai Dai Beach. Swandor Hotels & Resorts offer all day long sports and entertainment activities. Plus, enjoy evening entertainment with shows running until late at the open-air disco. The property features sophisticated interiors, offers breathtaking views and is surrounded by nature. Swandor Cam Ranh is located on the white beach of Bai Dai in the bay of Cam Ranh, only 35 km to the northeast of Nha Trang City. Today depart Sydney, Melbourne, *Brisbane or *Adelaide for Cam Ranh, Vietnam! Fly with award winning airlines such as Vietnam Airlines, Singapore Airlines, Cathay Pacific or Emirates to name a few. (subject to availability). Upon arrival be met by a representative and transferred to your 5 star accommodation where you will enjoy the next 5 nights relaxing by the beach. Today depart Sydney, Melbourne, *Brisbane or *Adelaide for Cam Ranh, Vietnam! Fly with award winning airlines such as Vietnam Airlines, Singapore Airlines, Cathay Pacific or Emirates to name a few. (subject to availability). Upon arrival be met by a representative and transferred to your 5 star accommodation where you will enjoy the next 7 nights relaxing by the beach. At the appropriate time, you will be transferred to the airport for your flight home. Travel offer is valid for travel on selected dates until the 11th of December 2019. Dates/months with a * incur a flight high season surcharge of $300 per person. Dates/months with a ** incur a flight peak season surcharge of $550 per person. Dates/months with a ^ incur a land high season surcharge of $150 per person. *Brisbane or *Adelaide: $150 per person. - Business Class (International Sectors Only): Buy now for $3499 per person. 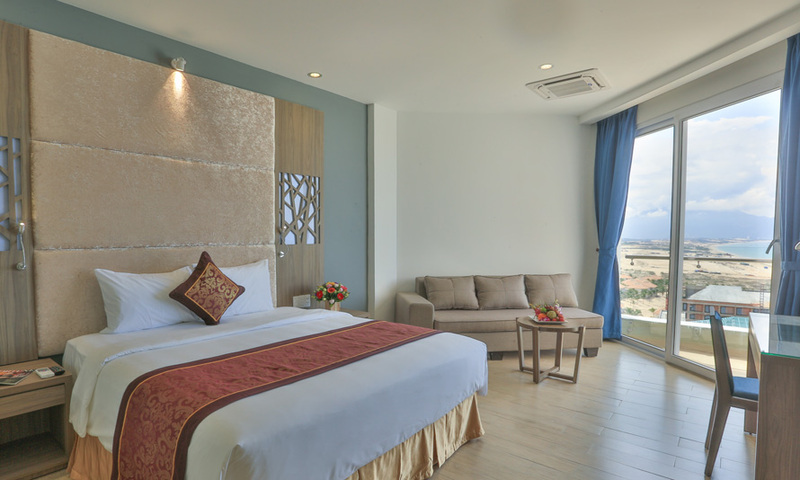 Swandor Hotels & Resorts - Cam Ranh. Please enquire directly with the resort. Pre Tour: $255 per room. Post Tour: $255 per room. 3 Adults or 2 Adults + 2 Children (subject to availability). - Infants 0 – 1 stay free of charge at the property, sharing existing bedding with parents and do count towards the maximum room capacity.. Please note; additional flight charges may be applicable. 1 x King or 2 x Single (subject to availability). - Visa fees and requirements (A visa for Vietnam is a strict requirement if travelling on an Australian passport). All-inclusive meal package is a buffet setting for each meal. Not all beverages available at the resorts bar are available under the all-inclusive package. In Cam Ranh, the wet season is hot and overcast; the dry season is warm, windy, and partly cloudy; and it is oppressive year round. Over the course of the year, the temperature typically varies from 21°C to 32°C and is rarely below 20°C or above 33°C. The hot season lasts for 4.8 months, from April 24 to September 18, with an average daily high temperature above 31°C. The hottest day of the year is June 2, with an average high of 32°C and low of 26°F. The cool season lasts for 2.7 months, from November 28 to February 19, with an average daily high temperature below 28°C. The coldest day of the year is January 25, with an average low of 21°C and high of 25°C. Gratuities (tips) are not included in the price for services of the driver throughout the stay. Tipping is optional and at the customer's discretion. Please Note: Passengers who are not Australian citizens must check with the respective consulate or a visa agency to determine what their visa requirements are and what personal identification is required.It is also important to note, some areas of employment such a journalism, government authorities and charity organisations may have additional restrictions in applying for Visas. This may in turn affect the type of application required.